This is the school with the tradition which has been educating students since 1962. Junior High School for Adults. 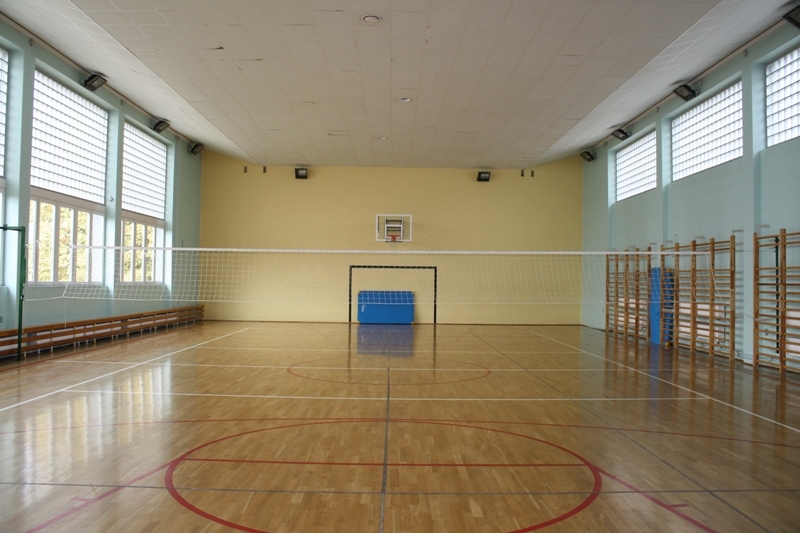 Nowadays, the education of students is held in three buildings and modern school workshops. 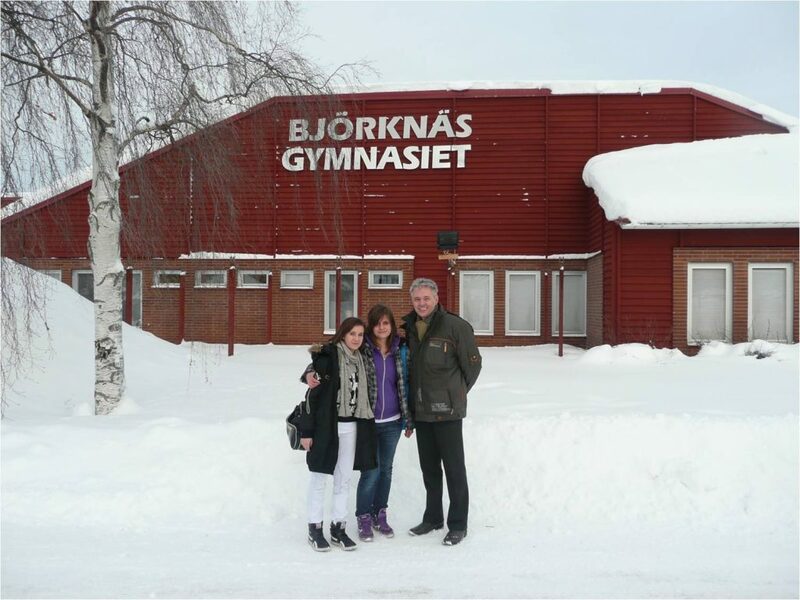 There are about 330 students, 40 teachers, 2 gyms. 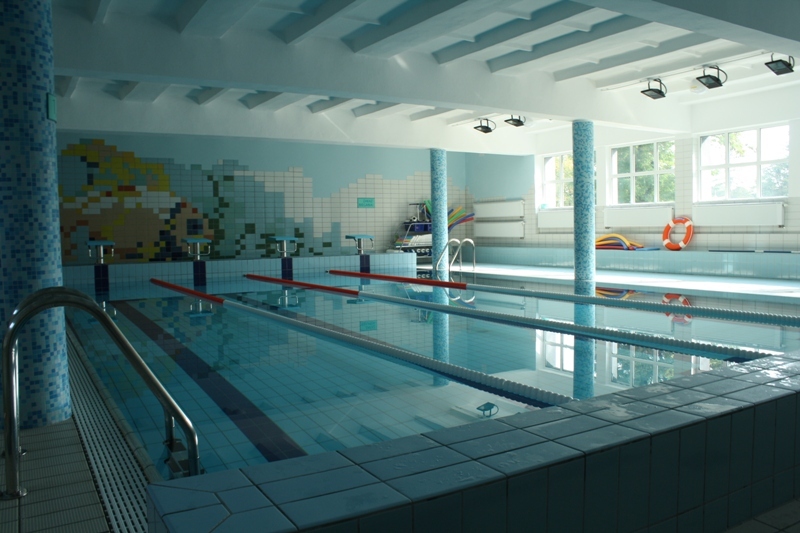 There is also a modern swimming pool and an assembly hall. Here, students gain skills in many attractive building and service professions. In the construction sector we educate most wanted, in the labor market, professionals for example technician of landscape architecture, building technician, bricklayer – plasterer,installation and sanitation fitter, building insulation fitter. 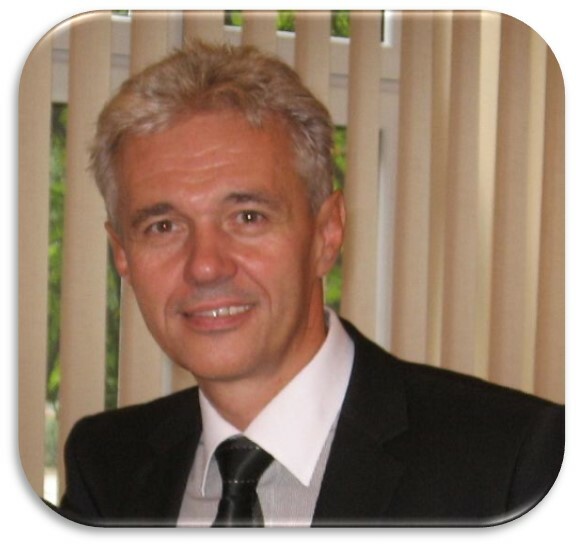 In the professions of service we educate hairdressers, sellers, and many young workers in other craft professions. 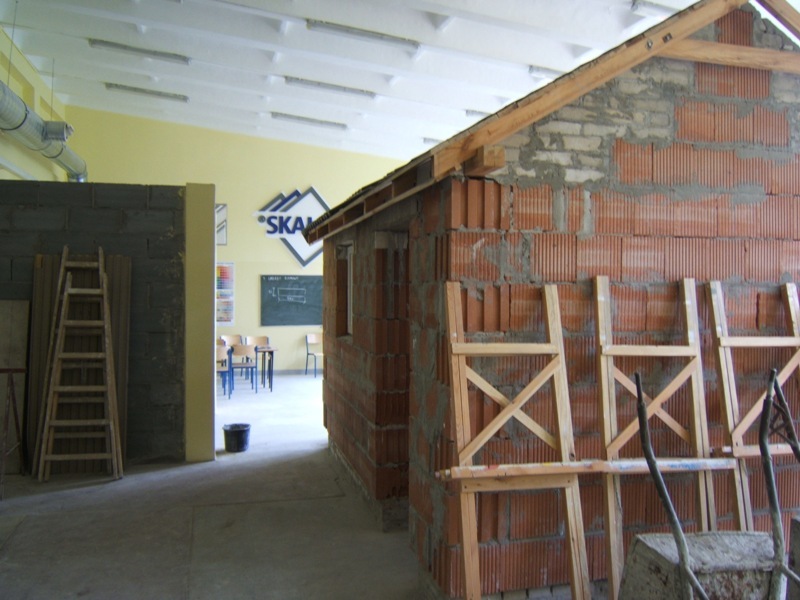 Education takes place in a modern way – not only with the bricklayer’s box, but also in the computer lab equipped with programs for architectural design, construction design, cost estimation. To provide students with a comprehensive development and a continuous and broad access to information and new technologies, the school cooperates with many firms in the construction and mechanical sector, Guild of Crafts, Voluntary Labour Corps and universities. 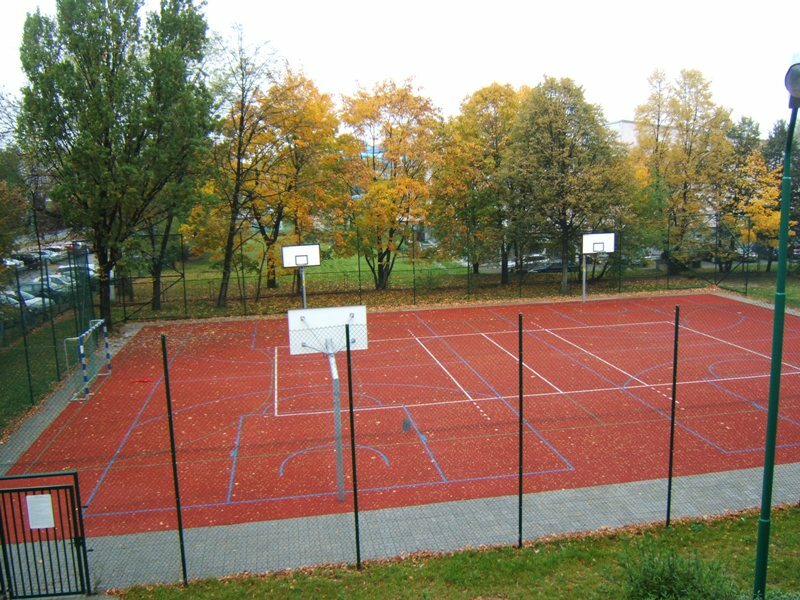 The school is a member of the Silesian Chamber of Construction. • Every year students gain individual awards and top positions in: the „Transitory work competition in Silesian province”. These works are architectural designs and models , in buildingcompetitions (1st place in the region and 6th place in Poland in 2013), competition of OSH (1st place in the region in 2013) and hairdressing competitions..
• The school also prepares students for professional examinations very well, which is reflected in the high pass rate of vocational examinations in the professions. 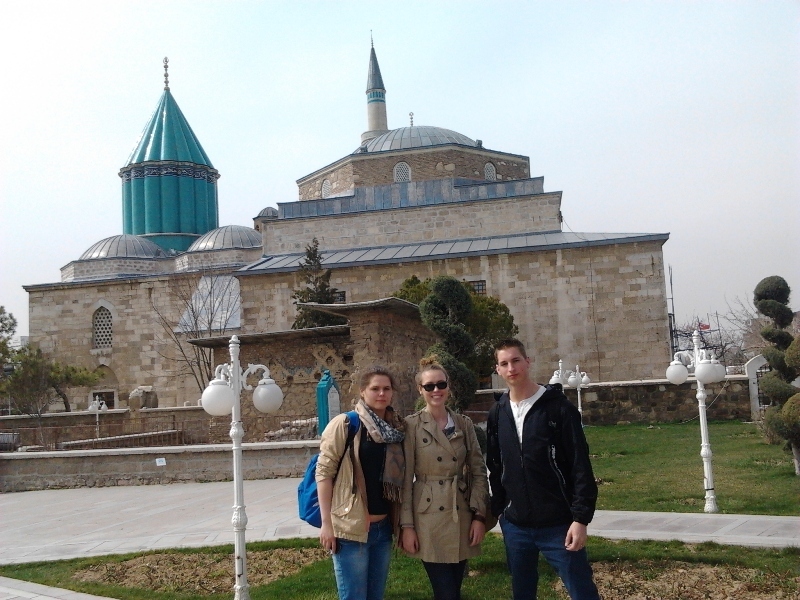 • Project of Individual Mobility for Comenius students 2012 -2013 – 2014 – students go for a few months (3 – 8) to France and continue education and apprenticeship abroad. 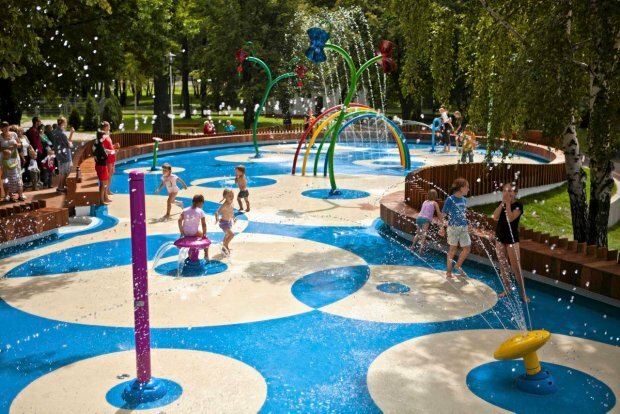 Total amount obtained by school thanks to the union projects so far has been 1 million 700 thousand PLN. 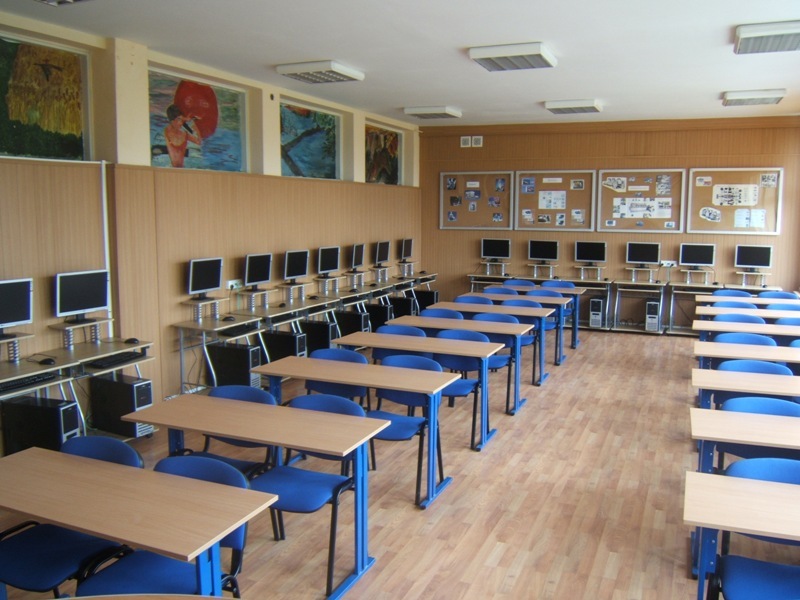 In school have been created three IT labs (2 of them are funded by Ministry of Education), 2 multimedia reading rooms in the school libraries, the boardroom, the design workroom, the hairdresser workroom, the seller workroom. Within the area of school workshops have been created: landscape architecture, construction, painting and modern mechanical workshop. The school has been gradually equipped with modern stuff and educational aids. 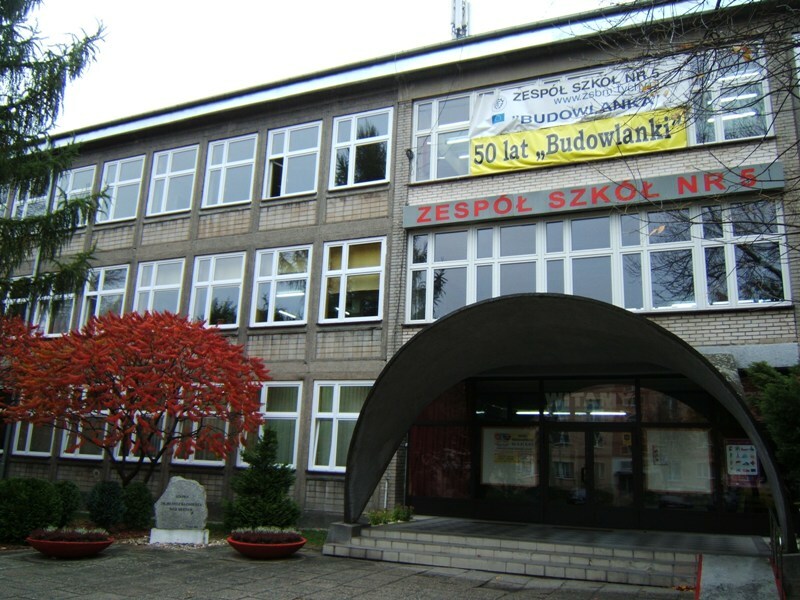 Our school was the first in the city which bought a multimedia board (2006). 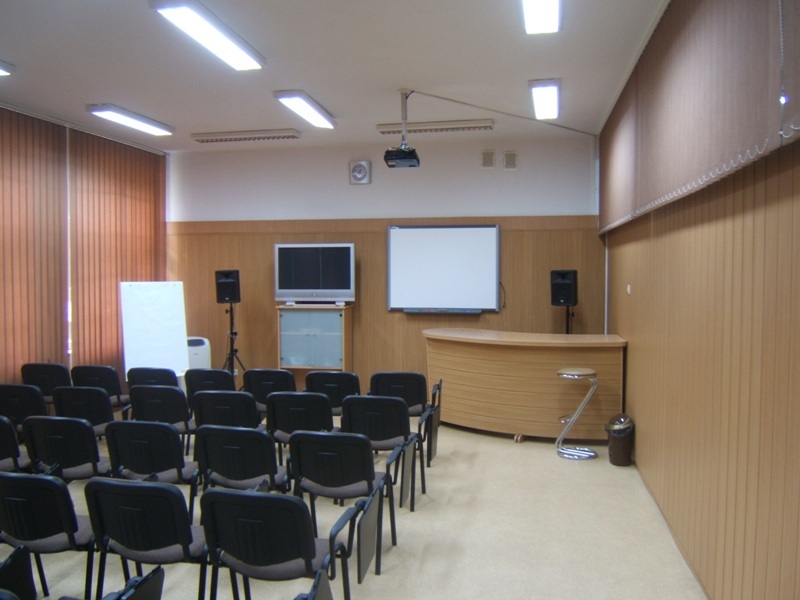 We also have a multimedia projector, TV’s, visualiser, notebooks, CNC lathe, design and estimate programs. Our school cooperates with institutions and firms which support didactic process and enable to use modern technologies. School partners are Silesian Chamber of Building, Higher Technical School in Katowice, ARSANIT Company, Hilti Academy of Painting Techniques in Wrocław. Students and teachers take part in training, shows, exhibitions and professional practices in companies which cooperate with our school. There are meetings and lectures with firms representatives, schools graduates: designers and workers of building companies. During these presentations students learn about designs and technical solutions of buildings, reconstruction projects, revitalizations and renovations of objects which grow up in our city and in province(presentation of architects and graduates who were awarded with a lot of prizes on example: Internet Surfers Prize called “The Best Public Space in Silesian Province” – Robert Skitek for the project “Water playground in Tychy 2012”, Wojciech Klasa for the project “Modernization of Baczyński square in Tychy 2010”). The school is noticeable in city and in province thanks to different events organization. In our school there were organized meetings with interesting and well-known people for students and residents of the city ( the general Roman Polko, the Chinese writer Xiao Rundcrantz, the professor Stanisław Nicieja, Help and Growth Organization for Ruanda worker – Carl Wilkens). There were also self-defense, first-aid courses, blood-giving actions, directors conferences organized by Board of Education, building and education fairs and trainings. In 2010 in our school there was also organized Knowledge and Building Skills Competition for 20 schools from Silesian and Lesser Poland provinces. 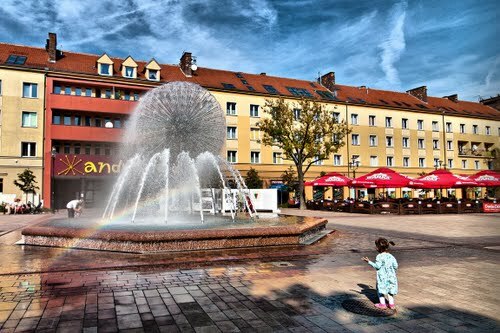 Each year, representatives of school historical circle take part in celebration of Independence Day in Tychy, in celebration by Silesian Rebel Monument near Liberty Square. Cooperation with City Museum and Lwów and South-East Ends Lovers Company in Tychy plays important role in popularizing country and region history. School takes care of teenagers’ education in sense of responsibility for natural environment. 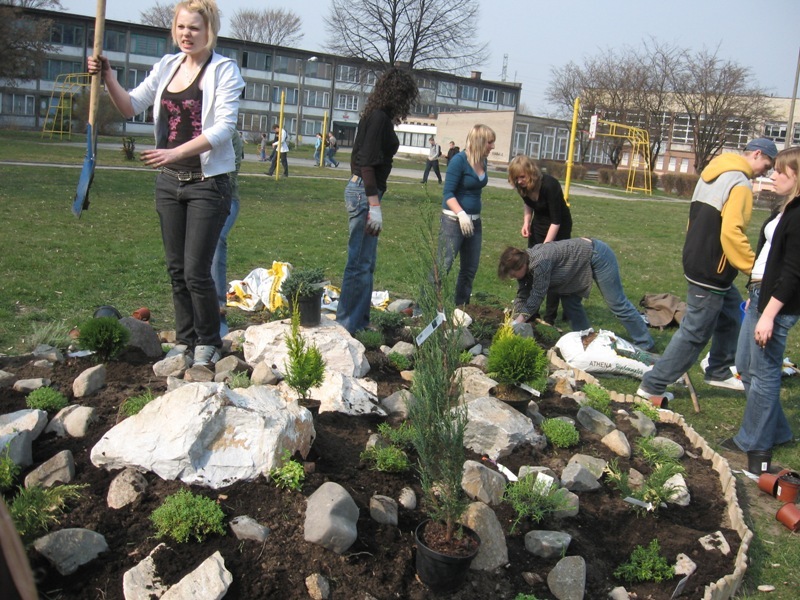 Young people take part in city events which have ecological character – “Planting oaks”, ”Daffodils”, ”Ecological competition – Master” or actions organized with City Hall Tychy “Night flowerbed planting”. 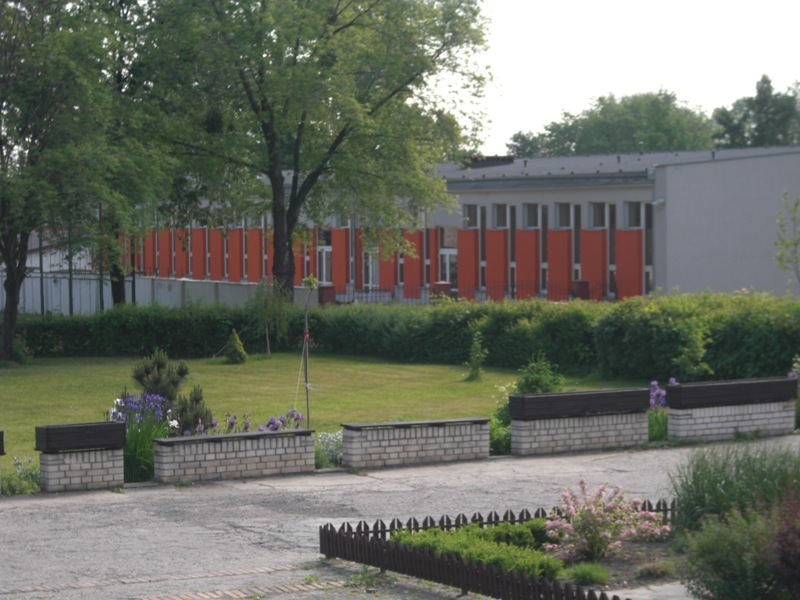 School cooperates with Department of Earth Science in Silesian University and with Silesian Botanical Garden in Mikołów. 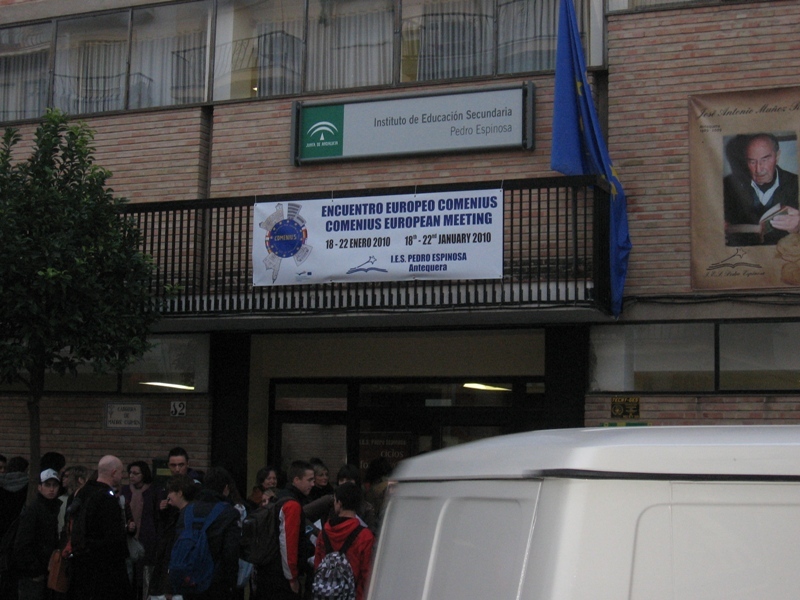 Students successfully take part in ecological competitions. School is also the organizer of cyclic events – “Frankofonia” regional competitions of songs, knowledge about frankofonic countries and art – there were already IX editions of this event and “Interschool Hairdresser Competition”.